“When a wound swells up, turns red and hurts, it may be a sign of inflammation. Inflammation is—very generally speaking—the body’s immune system’s response to stimulus. This can be bacteria colonizing a wound or a splinter piercing your finger, for example. Inflammation happens when the immune system fights against something that may turn out to be harmful.” This type of inflammation, or acute inflammation, is usually beneficial. On the other hand, chronic inflammation often leads to deleterious effects. Widespread uncontrolled inflammation may result in multiple organ failure, thus causing death. In some diseases, as for example arthritis, the inflammatory response is triggered when there are no foreign invaders to fight off. In these diseases, called autoimmune diseases, the body’s normally protective immune system causes damage to its own tissues. The body responds as if normal tissues are infected or somehow abnormal. During the inflammatory response, tissues release a variety of chemicals, including histamine, bradykinin, prostaglandins, and many others, as for example several different messenger molecules—cytokines and chemokines—which attract white blood cells called phagocytes. Phagocytes, such as macrophages and neutrophils, “eat” and destroy microbes and dead or damaged cells through a process called phagocytosis. Phagocytes eventually die. Pus is formed from a collection of dead tissue, dead bacteria, and live and dead phagocytes. Neutrophils are the first and most numerous phagocytes to arrive at the site of the inflammatory response, and are among the first to die. The dying neutrophils release large amounts of alpha defensins, a type of antimicrobial peptides. The dead neutrophils are then cleared by macrophages. Now, results from a new study (Neutrophil-derived alpha defensins control inflammation by inhibiting macrophage mRNA translation), published on April 19, 2016, in the scientific journal Proceedings of the National Academy of Sciences, show that that the most abundant of the alpha defensins released by the dying neutrophils, HNP1 (Human Neutrophil Peptide 1), inhibits protein translation in macrophages. By preventing protein translation, HNP1 functions as a “molecular brake” on macrophage-driven inflammation. Inhibition of protein translation results in decreased production of a type of cytokines that drives inflammation, leading to the elimination of the infecting microbes and the resolution of inflammation. This newly discovered “molecular brake” mechanism minimizes damage to the surrounding healthy tissue and prevents the development of the deleterious chronic inflammatory responses. It is so interesting to see a mechanism where microbes can be eliminated WITHOUT collateral damage being done. Neutrophils, being one among the first line of defense in our immune system, have the job to disintegrate any foreign body in order to prevent any further infection, even it means secreting as many cytokines as it can in order to eliminate the pathogen. Similarly, a study was performed to study how macrophages suppress inflammation by expressing Arginase-1 (Arg-1) in the presence of Schistosoma mansoni, a Th2-inducing pathogen. In this study, the scientists had studied mice who had all macrophages with Arg-1 expression (control), mice that were conditionally treated with certain Arg-1-expressing macrophages (Arg1-/flox), and mice that were conditionally treated with macrophages not expressing Arg-1 (Arg1flox/flox). Arg1-/flox;LyscMcre mice showed symptoms of inflammation and fibrosis from the infection and died at a rapid rate. The same occurred to Arg1flox/flox mice. Both groups produced high amounts of Th2 cytokines, and T-cell proliferation was inhibited. However, after both groups were given arginine, T cells began proliferating again. The control group survived and showed very minimal signs of inflammation and fibrosis. This study showed that Arg1 was a very important component in suppressing inflammation and fibrosis and eliminating foreign pathogens. If we can reduce the level of cytokines being secreted by expressing mediators like Arg-1 in cells that are a part of the innate immune system, then we do not have to face the side effects of pain and inflammation. It would be interesting how these mechanisms can be used on the adaptive immune system. Maybe by expressing some parts of the T and B cells can we create a stronger adaptive immune system that will help us create better immune responses to stronger pathogens. Although I must agree that this discovery is a very novel one, I wouldn’t quite say the mechanism is one in which microbes are eliminated without collateral damage being done. As I have learned in my immunology course, increasing tissue damage results as the immediate innate, induced innate and adaptive innate immune responses are activated. As the name implies, the immediate immune response is activated immediately, however, it still induces little tissue damage that can quickly be repaired. As the body progresses to activate the induced innate immune response within approximately four hours of infection, inflammation is induced followed by more tissue damage which results in a longer amount of time needed for the tissue damage to be repaired. Regardless, varying amounts of tissue damage will result depending on the intensity and longevity of the infection. When used for therapeutic purposes, the alpha defensin secreted by neutrophils, HNP1, would be administered at the discovery of chronic inflammation, not prior. For this reason, as previously mentioned, some tissue damage may have already resulted from the activation of the immediate innate immune response at the time of the administration of HNP1. As mentioned in my post below, a study was performed in which mice were administered HNP1 following the infection of Salmonella enterica. If the HNP1 were to be administered without discovery of an infection, this could result in a trigger of an immune response with no pathogens to fight off, leading to an even bigger problem, perhaps even an autoimmune disease. I definitely agree that there will be at least a little tissue damage inflicted upon the activation of the immediate and induced innate immune responses, and the more prolonged the responses are, the more damage will be inflicted on the tissues and repairing the damage would take longer. However, this novel mechanism can help reduce further inflammation and fight against microbes at the same time, and here is why. In this interview, Dr. Eliaz speaks about how inflammation, specifically chronic inflammation, can trigger inflammation in other parts of the body. Even though the immune system is helping the body fight against the microbes, it is also hurting the body by degrading tissues even further from the secreted cytokines destroying surrounding healthy cells. This can trigger inflammation again, and the cycle continues. As a result, the body is more prone to diseases because it is not able to keep up with fighting against other foreign pathogens while healing at the the same time, leading to gastrointestinal and skin diseases, or even worse, diabetes or heart disease. If this novel mechanism is used, then the cycle of inflammation can be broken to prevent any further collateral damage on tissues. Granted, little tissue damage is bound to occur, but the body should be able to cope up with healing and fighting off other pathogens. This mechanism will at least stop further degradation of tissue and fight microbes, reducing the chances of contracting more severe diseases and staying healthy. I agree that this newfound discovery will probably allow us to intervene in the future in chronic inflammation patients. One could also consider combination therapy of HNP1 and Arg-1 for these long term patients. One important thing to note for Arg-1, though, is that it actually causes ill-affects after strokes, and studies are being held to discover ways to reverse the immune suppressive affects. For chronic inflammation patients, risk for ischemic stroke is often elevated and the pubmed study linked found associated immunosuppressive complications due to Arg-1 arising in mice with ischemic stroke. Before moving on with therapies scientists will need to consider these risks and evaluate other options, or options for on hand anti-neutrophil medication for stroke patients. I wonder if HNP1 also has negative immunosuppressive affects afterwards – that needs to be researched! R.K. Kumar, collateral damage to tissues is just one manifestation that indicates that our immune systems are not perfect, and I believe that it will not get any better due to our medical intervention. Ever since the immune system arose, only those with a better immune system were able to reproduce transferring the genetic code of their more successful immune system to their offspring. This has been occurring for thousands of years before the creation of antibiotics, antivirals, and other medications that the field of medicine provides. Because medicine allows for those with a weaker immune system to survive to reproduce, having a better immune system is no longer a requirement of fitness. I do not want to sound anti- medicine as I also believe in medical intervention, but our only hope to prevent human extinction is to inform ourselves, and do more research on the current immune systems to get more knowledge about how they function to better assist patients. The study performed by Brook et al. is just one piece of vital information. 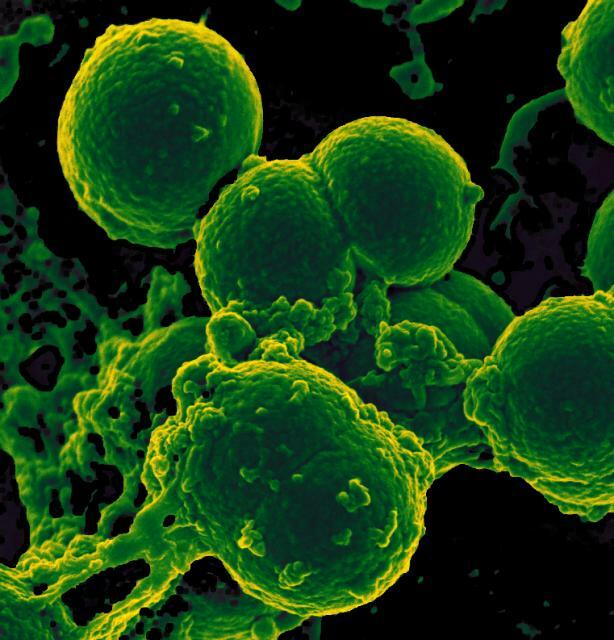 Collateral damage of bystander cells at the site of infection is indeed not a positive nature to consider but collateral damage is manifested by the immune system to prevent further escape of pathogens. The immune response is for sure not always highly specific, destroying not only specific target cells but also neighboring cells as well. A study suggest that the bystander destruction of neighboring cells is caused by Fas/Fas ligand interaction and is mediated by CD4 T cells. Findings of the study suggest that limiting bystander killing of cells can be controlled at a certain degree by programmed death-1 (PD-1). The coinhibitory molecule PD-1 was a strong candidate in their experiment to restrain the degree of adjacent cell injury. This may be a possible therapeutic intervention against collateral damage when inflammation is triggered. This can possibly regulate the continuation of collateral damage from persisting inflammation toward healthy cells. Inflammation is a vital physiological process that protects our bodies from harmful foreign organisms and inorganic substances, but in excess, it can lead to many pathological complications. One of its main functions is to provide phagocytic cells, such as neutrophils, easy access to the site of infection or injury, ultimately disabling the pathogen’s ability to invade and establish colonies. It does this by stimulating macrophages to secrete proinflammatory cytokines that attract phagocytic cells and initiate their activity. In the article, “Neutrophil-derived alpha defensins control inflammation by inhibiting macrophage mRNA translation” the authors found that HNP1 (Human Neutrophil Peptide 1) released from dying neutrophils actually inhibits translation of proteins within macrophages, in turn reducing the amount of cytokines that they secrete and slowing the process of inflammation. In the study “Defensins and cathelicidins: Neutrophil peptides with roles in inflammation, hyperlipidemia and atherosclerosis” neutrophil defensin peptides were found in high concentrations within plaques associated with atherosclerosis. In addition, the study revealed that defensin worked to form complexes with Low Density Liproproteins (LDL), leading to their deposit within blood vessel endothelial cells promoting the formation of atherosclerosis. It seems that defensins have multiple roles in regards to the inflammation process, some may be beneficial in the case of the HNP1, however other defensins may be harmful to the body, as seen in the aforementioned article. What causes this difference in the body’s response? Is it a differing of the defensins molecular structure, or a difference within the receptors? It would be very interesting to study and isolate the different definsins and determine their molecular structures and corresponding receptors. The results of such a study would enable the formation of new drugs, some antagonists and some agonist for the defensins receptors, but both therapeutic mechanisms would work to decrease inflammation. I think you bring up a good point in that we need to look at both beneficial and negative side effects of HNP1 in the inflammatory process of the immune system. The article you mentioned about defensins and cathelicidin spoke about the possible onset of Atherosclerosis due to the interaction between HNP1 and LDL; however, it prefaced that finding with the fact that the pathogenesis behind Atherosclerosis is largely due to endothelial cell dysfunction, which is mediated by the the large number of mediators secreted from leukocytes that are present at the site of atheroma formation. Although neutrophils are (typically) the first to arrive at the site of infection, it seems as though the presence of mediator-releasing leukocytes are the primary driving force behind atherosclerosis pathogenesis. It would seem as though neutrophils play a small role in endothelial dysfunction if their recruitment were in response to real infections or damage to tissue. However, in the case of chronic inflammation where there is no foreign invader, I do agree that the application of HNP1 as treatment would have to be handled cautiously. In a study done by Dibirian et al, HNP1 proved to be a vital defense mechanism against leishmaniasis, a parasitic infection whose treatment involves a drug that is associated with increasing resistance, as well as toxicity levels that are less than ideal. This study utilized recombinant HNP1 (rHNP1) and studied its effect on anti-parasitic activity. The researchers found that Leishmania infectivity rates decreased in neutrophils treated with rHNP1. They also found increased levels of TNF-a, a cytokine that is chiefly produced my macrophages, but can be produced in other immune system cells as well. Furthermore, neutrophils treated with rHNP1 exhibited delayed apoptosis, which may represent enhanced neutrophil function. Another noteworthy mention is that the fact that defensins have a low susceptibility to resistance, have antimicrobial properties, and they have low toxicity to mammals, making them a prime target for research against infection to parasites. All in all, this finding is integral in our understanding of the immune system mechanisms to fight infection and/or inflammation, but its application must be handled carefully, as there may be side effects that we do not yet know about. Chronic inflammation contributes to several leading causes of death around the world including heart disease, cancer, diabetes, the list goes on. However, the widespread uncontrolled inflammation is often overlooked until it causes one of the previously mentioned diseases. For this reason, it is important to acknowledge and address such an overlooked occurrence. Upon infection, increasing tissue damage results as the immediate innate, induced innate and adaptive innate immune response are induced. The longer the infection takes its course without being combated, the more tissue damage is inflicted and, in turn, the longer it takes to repair. For this reason, the discovery that neutrophil alpha defensin, HNP1, minimizes damage to healthy tissue and prevents deleterious inflammatory responses is truly remarkable! HNP1 decreases macrophage-driven inflammation by inhibiting the synthesis of proinflammatory cytokines produced by macrophages while still increasing its antimicrobial capacity. A study was conducted in which HNP1 was administered to mice following the infection of Salmonella enterica. The administration of HNP1 proved to protect the mice from further inflammation. The article closes by mentioning that this knowledge could open the doors for treatment and prevention of chronic inflammation. As conducted in the study aforementioned, perhaps therapeutic remedies to reduce the damage caused by chronic inflammation lie in the administration of alpha defensin, HNP1, following an infection. However, I cannot help but wonder about the potential side effects that could rise by inhibiting the protein translation of macrophages, the “big eaters” of bacteria and dead neutrophils. Although the previously mentioned study pointed out that inhibiting the protein translation of macrophages would not affecting its mRNA stability, it is hard to believe that science can get away with interfering with the central dogma without any potential side effects. Therefore, would the benefits outweigh the potential costs? In addition, because the signs of inflammation (pain, redness, and swelling) quickly inform someone that something is wrong within their body, I also wonder if decreasing the inflammation response to an infection could create a false positive effect? Perhaps the patient may feel fine upon the administration of HNP1 and unaware of an infection in their body that may be underestimated and perhaps may need the intervention of much more than HNP1. I found this article to be a fascinating and a big step in understanding the complex aspects of inflammation. From a personal experience, I can attest to how awful autoimmune disorders can be. I have a couple as well as my father. His is more debilitating and watching him suffer is heartbreaking. Despite the availability of medication to subdue symptoms as well as to attempt to stop tissue and joint damage, there is not much in the way of curing these diseases. This “molecular break” could be the beginning of further unraveling the warped net that is inflammation in respect to autoimmune disorders. This HNP1 molecule, which is present in neutrophils, provides a stop gap for macrophages to halt the phagocytic behavior during the inflammation process. I would be interested to see if patients who suffer from an autoimmune disorder lack HNP1 in their neutrophils. Instead of an overactive immune response, or a confused/self-attacking immune system, perhaps it’s the inability to halt and normal immune response which then causes more damage. It has been accepted for decades that autoimmune disorders stem from T-cells that have not been properly screened which then mature and recognize the host cells as foreign, but other new research is also starting to explore the possibility that neutrophils play a larger role in autoimmunity than previously thought. This one study (link below) is exploring the aspect of the neutrophil extracellular traps (NET) and the increase of cytokines and pro-inflammatory markers which are usually short lived and cause neutrophils to expire after 4-10 days. I think this shift in mentality away from autoimmunity being the result of faulty lymphocytes to a more basic thought process that the molecules specifically involved in inflammation are faulty and may at least start the chain of events leading to inflammatory auto immune disorders is a great start to curing them, not just treating the symptoms. During an infection or an injury, one may experience the four cardinal signs of inflammation: redness, heat, swelling and pain. The purpose of inflammation is to mediate an immune response that is localized at the site of infection. Inflammation is made possible by the release of chemokines, cytokines, and inflammatory mediators. Inflammatory mediators cause blood vessel at and near the site of infection to become more permeable so that cells of immune system can enter the infected tissue from the blood stream. Consequently, the infected area swells up due to the entry of more fluid and becomes red and hot due to more blood flow to the site of the infection. Inflammatory mediators, such as histamine and bradykinin, can irritate the surrounding nerves in and around the infected area leading to pain. Although inflammation can be irritating, it is the body’s natural action to localize an immune response at the site of infection. However, the inflammatory response is not always perfect. In fact, disease such as rheumatoid arthritis and Crohn’s disease are caused by prolonged inflammatory responses targeted to the joints and gastrointestinal tract, respectively. How can these diseases be ended? The first thing to understand when trying to end diseases such as rheumatoid arthritis is to understand how the inflammatory response ends normally. Although this process is complex and somewhat understood, research is still discovering the breaks to an inflammatory response. In a recent study performed by Brook et al, it was discovered that the Human Neutrophil Peptide 1 (HNP1), an alpha defensing of neutrophils, is actually a molecular break of macrophage action during an inflammatory response. HNP1 prevents the translation of mRNA produced by macrophages decreasing their actions during an inflammatory response. This discovery is fascinating in many ways. For one, it showed another piece to the puzzle of understanding how the inflammatory response is ended. Secondly, this new knowledge can be used to reduce the effect of chronic inflammation mediated by macrophages. The new obstacle is getting HNP1 to the affected tissues without interrupting other inflammatory responses that may be taking place to eliminate a harmful pathogen. I to agree with the need for a chronic inflammation break in order to rid of these diseases. The body has got to have this mechanism ready so that it can be used as a feedback look instead of the body steadily producing inflammation. In addition to the mechanism that you’ve mentioned research shows that a molecule named MYSM1 found in resting cells is essential to putting a break on inflammation. When it accumulates in the cytoplasm it causes signaling between cells to decrease, ultimately causing inflammatory pathways to cease. With these different options to put the brakes on inflammation, I think now it is time for more research to conclude which mechanisms are best for our bodies. This process is interesting because I wouldn’t think that resting cells could have such an impact on such a robust immune response, until they are activated. An advantage of this process is that the cell is using less energy, in a situation where so much energy was already used to cause the inflammation in the first place. Aigner, the article you posted made me realize that the immune system is probably using every possible method of regulation. In the case of the article you posted, proteins stored in the nucleus of innate immune cells are released when the innate immune response needs to be downregulated. In the case of Brook et al., they described the release of HNP-1 from apoptotic neutrophils which downregulates macrophage activity. T- Cells are activated by dendritic cells at a transcriptional and translational level as T- Cells get induced to produce IL-2 and the third chain of the present, low affinity IL-2 receptor. Memory B cells no longer express FcYIIB1 receptors so that they are activated during a secondary response while naïve cells undergo apoptosis if they attempt to respond to a secondary response. T- Cells and B- Cells that do not receive their corresponding co- stimulatory signal become anergic. This bit of information just shows some of the pathways of regulation used by immune cells, but what is more fascinating is the orchestration that takes place to regulate an immune response, and a cells ability to link multiple regulatory pathways. Acute inflammation is the response of the innate immune system when fighting against foreign pathogens invading the body. However, everything has to undergo homeostasis, even the immune system itself. Inflammation is regulated when the pathogen has been eliminated from the body and have developed antibodies for them. When inflammation is prolonged and is unregulated, diseases may develop because of chronic inflammation. To answer Juan’s curiosity of Crohn’s disease, inflammatory bowel disease may lead to Crohn’s disease and inevitably, colitis-associated cancer, when inflammation is unregulated. A study have shown that a Notch1 gene has a role in regulating MMP-9 to mediate cell cycle arrest, apoptosis, and also inflammation to prevent development of colitis-associated cancer. Epithelial cell-derived MMP-9 has tumor suppressive functions by regulating p53 of the cell cycle. The study have also shown that when Notch1 signaling is inhibited, there was an increase susceptibility to colitis-associated cancer. Inflammation has many regulatory pathways that the human body has to prevent disease but how come disease are still occurring and even cancers are developing even though we know such pathways that can be inhibited or stimulated? The inflammatory response is an essential component of the innate immune system. It is the body’s natural defense against tissue damage. Whenever damage occurs, tissues release several messenger proteins to recruit phagocytic cells. Neutrophils arrive first in countless numbers and release alpha-defensins. Macrophages produce NLRP3-inflammasomes, which release IL-1beta causing continuous inflammation. However, when excessive inflammation occurs damage could be done to the cells, which could cause aging, organ failure, and in some cases fatalities. New studies show that inflammation can be regulated by a protein called p62 which functions as a molecular brake to prevent further damage to the tissues. As macrophages respond to the site of inflammation, this increases the production of p62. The protein coats the damaged mitochondria that signal for inflammation to ensure their elimination. As the damaged cells are removed the NLRP3-inflammasome deactivates and IL-1beta production is turned off. The study also examined how the same protein p62 could be used repair damage done to the mitochondria due to genetic factors or age-related disease. This discovery could prevent age-related diseases such as Alzheimer’s, Parkinson’s, or Huntington’s disease. P62 would interact with an autophagy machinery, which clears the dysfunctional and damaged cells, to slow down aging. It great to see how one discovery can lead to another. It would be great to see scientists learn more about the p62 protein and how to increase its availability in the body to slow down aging and damage done to cells. Inflammation is great in a very short period of time. However, everyone has heard too much of a good thing is bad. Well in this case, chronic inflammation is the worst. Dying neutrophils secrete the molecule HNP1 as mentioned in the original post. This molecule stops macrophage translation, and therefore stops the release of cytokines by macrophages ultimately causing more inflammation. Interestingly enough, a study was done on the effects of dying neutrophils to other neutrophils, and not macrophages. The study wanted to test whether or not neutrophils could digest apoptotic neutrophils, as macrophages do. Results showed that immature granulocytes did not phagocytize apoptotic cells well. However, when neutrophils were given stimulants such as: Interferon-gamma, phagocytic activity greatly increased. When neutrophils took up other neutrophils, functions of the cell were inhibited. Those functions interfered with included a respiratory burst and release of cytokines that increases inflammation. So, the same effect of cytokines increasing inflammation being withheld was seen in macrophages and neutrophils. When neutrophils engulf other neutrophils, this is a way for the body to help lessen the impact and damage of inflammation caused by infections. So maybe macrophages aren’t the only brakes in the immune system when concerning inflammation. This also raises the question of what molecule, if there is one, causes the inhibition of dying neutrophils to secrete cytokines? Is it at the translational level, is it the same molecule of HNP1 or a different one? If research is done using both neutrophil and macrophage mechanisms of decreasing inflammation, one day chronic inflammation could be a thing of the past. You proposed an interesting question whether there is a molecule that can inhibit neutrophil apoptosis and cause a secretion of cytokines. According to the study Gallic acid reduces the effect of LPS on apoptosis and inhibits the formation of neutrophil extracellular traps, if the host is invaded by a bacterial pathogen then the LPS has the ability to delay neutrophil apoptosis by binding TLR4. The LPS then activates the neutrophil to release more pro-inflammatory cytokines which causes significant inflammation. The inflammation can lead to major tissue damage and even septic shock then death in some patients. They have potentially found a way to combat this life threatening inflammatory response caused by LPS by using Gallic acid. Gallic acid which is a phenolic compound found in many plants and fruits had the ability to reduce the delayed apoptotic effect on neutrophils caused by LPS. It decreases the inflammatory cytokines released and inhibits the LPS to allow the neutrophil to complete apoptosis. As the paper stated, acute inflammation is a way the body fight infections so it is a very necessary immune response. However as the paper mentioned, it can also be damaging, when it becomes chronic, so the best way is to find a way to let it happen but not to an instinct that it will creates damages. The paper talks about one way the body slow down the inflammation, by the releasing of alpha defensin HNP1 from dead neutrophils, which inhibits the translation of macrophages proteins. Similar studies found another way to fight inflammation by targeting the class IB phosphoinositide 3-kinase gamma (PI3K-gamma). In fact, PI3K-gamma is activated by G-protein coupled receptor and they are expressed in majority in leukocytes. When the authors did the study, they found out that mice that did not have the PI3K-gamma lacks also the ability for neutrophils and macrophages to respond to chemokine. By this chemotaxis being reduced, not only the innate immunity is being impaired, but there will also be a deficit in adaptive immunity. Moreover, PI3K-gamma can be found in blood vessels and smooth muscle so it plays a role in an inflammatory process. In fact, inflammation can cause edema of endothelial cells such as mast cells, and the lack of PI3K-gamma causes the reduction in mast cells reactivity and the decrease in endothelial and smooth responses, therefore the inhibition will cause a slow of inflammation. While they found that PI3K- gamma would be a great target for the treatment of human inflammatory and autoimmune diseases, would it not also creates other damages? Barberis, Laura, and Emilio Hirsch. “Targeting phosphoinositide 3-kinase gamma to fight inflammation and more.” THROMBOSIS AND HAEMOSTASIS-STUTTGART- 99.2 (2008): 279. There is no denying the fact that neutrophils play a major role in controlling inflammation by releasing large amounts of alpha defensins upon death. HNP1, the abundant alpha defensins release by neutrophils, can prevent further inflammation by inhibiting protein translation in macrophages. Having inflammation that is unchecked can lead to chronic inflammatory diseases such as rheumatoid arthritis (RA). Having alpha defensins such as HNP1 can help regulate inflammation. One study showed that HNP1 can be inhibited. Tissues that are inflamed can results in the loss of sympathetic nerve fibers. A major neurotransmitter of the sympathetic nerve fibers are norepinephrine. Norepinephrine is identified in the study as have inhibiting effects on HNP1 but also HNP2, and HNP3. Norepinephrine can decrease level of HNP1, HNP2, and HNP3. These inhibiting effects are only in play when levels of norepinephrine are high. The study also identified TNF as another factor that can inhibit HNP1-3. Using synovial tissue and cells obtained from patients with osteoarthritis (OA), they found out that TNF decreased HNP1-3 levels in OA mixed synovial cultures. It is known that HNP1-3 can stimulate TNF from macrophages. This scenario can be presented as a negative feedback loop. If HNP1-3 can stimulate the release of TNF which in turn can limit HNP1-3 levels wouldn’t this mean that inflammation controlling effects of HNP1 would be in some way negated? If this is the case this could be one of the reasons as to why chronic inflammation persists. First of all, I am quite fascinates by this article and finding. It is undeniable that within our immune response cascade, inflammatory response can be a double edged blade. The inflammatory response can be beneficial when its act in conjunction with other immune response to fight against invading pathogens, but on the other hand, it can also be detrimental to be the body when left uncheck. Excessive or prolong inflammatory response can cause severe host damage or even death. Furthermore, chronic inflammation could also lead to the development of tumors, cancers, and other detrimental autoimmune disease. Therefore, an equilibrium between inflammation and body tolerance must be maintained in order to achieve a homeostasis body condition. This research introduces a new way to regulate the inflammatory response produced by our immune system has opened up many possibilities. With this newfound knowledge regard HNP1 (human neutrophil peptide 1), an alpha defensin released by dying neutrophil, and it capability of halting the macrophage production of cytokine, we may be able to develop new medications that response to chronic inflammatory or diseases associated with chronic inflammatory response targeting this specific pathway. A new replacement therapy rather the usual steroid prescriptions that have many side effect would make many patients happy. It’s interesting to discover that neutrophil’s HNP1 has many capabilities. One is to alt and suppress macrophage function during chronic inflammation. Additionally, one research found that HNP-1 can also activate plamocytoid dendritic cells. This further shows how neutrophils not only downregulate but also upregulate other cells of the immune system. The ability of certain cells in our body to possess regulatory properties allows the minimization of bystander host tissue damage. This in turn, allows the body to control the rate of inflammation. Macrophages and neutrophils are the body’s strongest innate defenses and if one goes unregulated or unchecked could wreak havoc on the body. And could result in many diseases that can be detrimental to overall human health. This article was very cool. But it left me wondering beyond the possible treatment for chronic inflammation. I also wonder if this therapy holds prospects for short term, acute inflammation treatment. We all take advil or other ibuprofens regularly, and these pills are known for reducing inflammation and pain, but also have ill affects on the body ranging from nausea to exasperating heart disease to liver damage if overused. That’s just to name a few. I wonder if these alternative treatments could provide safer treatments for acute inflammation and localized pain due to injuries, since many people cannot rely on existing alternatives to ibuprofen such as NSAIDS or blood thinners for pain relief Since neutrophils mediate acute inflammation anyways. However, I was a bit confused because this study found that when HNP1 combines with platelet secretions (CCL5) monocyte recruitment is promoted and this results in higher inflammatory levels. if HNP1 were to be developed into a treatment, scientists would have to make sure these molecules did not meet, as together it seems they are pro-inflammatory, whereas alone HNP1 works to end the inflammatory response.